The Rev. Gary C. Bratz entered into the arms of his Savior on Saturday, Ocotber 13, 2018. He was born January 2, 1941 in Wausau, WI to Clifford and Mildred (Yaeger) Bratz of Wittenberg, WI. He was baptized and confirmed at St. Paul Lutheran Church, Wittenberg. He attended Concordia College, Milwaukee, Wisconsin (high school and junior college), Concordia Senior College, Fort Wayne, Indiana, and Concordia Seminary, St. Louis, MO. He was ordained into the ministry of the Lutheran Church, Missouri Synod on June 19, 1966. He married Sandra Tegge in Milwaukee, WI on June 8, 1963. Pastor Bratz served parishes in Wisconsin, Minnesota, and Alabama - most recently at St. John Lutheran Church, Townsend, WI. He appreciated outdoor ministry and was on the camp board for Camp Omega (Minnesota South) and Camp LuWiSoMo (South Wisconsin). He enjoyed teaching, preaching, wood working, fishing, golf - and telling his (large supply) of jokes. He and Sandra had three children, Mark (Shawnae) Bratz, Kalispell, Montana; Mary (Jeff) Herb, Neenah, WI and Paul (Linda) Bratz, Weston, WI. There are seven grandchildren - Christopher (Rilee) Turke, Alex (fiancee Myra Webster), Erin Bratz, Rachel (Scott) Osterday, Mitchell (fiancee Kira Engen), Andrew Bratz, and Molly Bratz. He is also survived by siblings, Susan (David) Mews, Karen (Harold) Keene, and the Rev. Dennis (Sandra) Bratz and brother-in-law Fred (Penny) Tegge. He was preceded in death by his parents and granddaughter Emily Rose Bratz. A Funeral Service will be held at 11:00 a.m. on Friday, October 19, 2018 at Mount Olive Lutheran Church, 6205 Alderson Street, Weston. Visitation will be held from 9:00 a.m. until the time of service at the church. 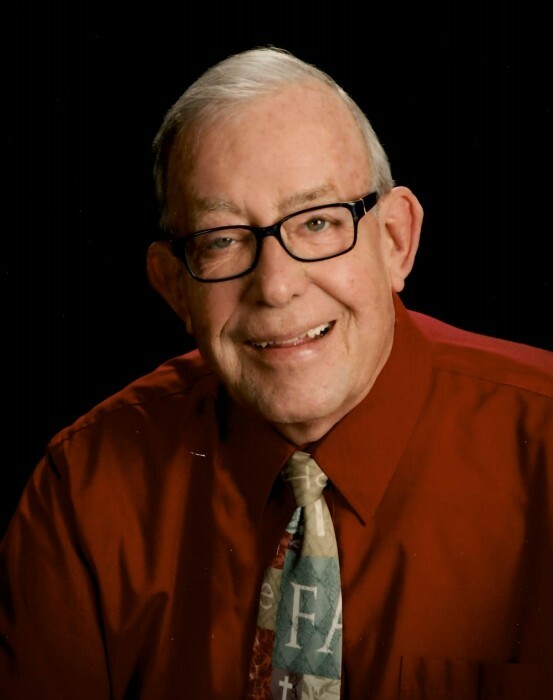 Private Interment will take place at St. Paul Lutheran Parish Cemetery, Wittenberg.